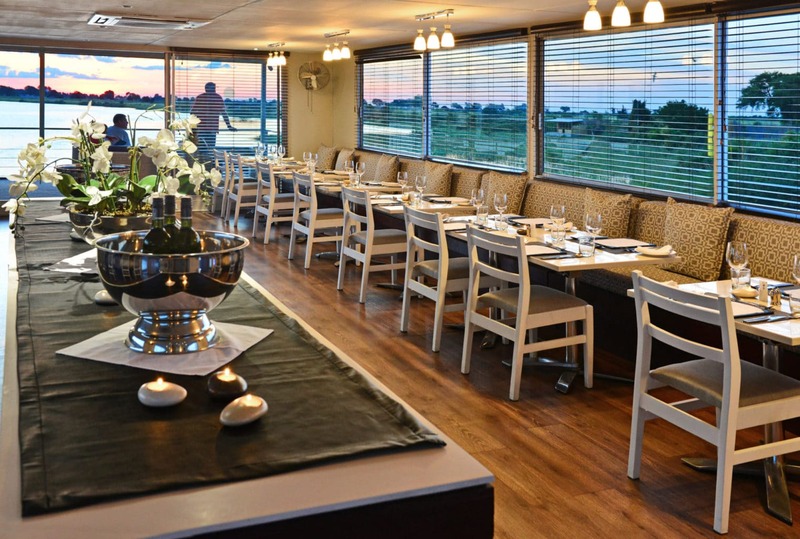 Step aboard the intimate Zambezi Queen – a boutique floating hotel – for a rewarding safari experience on the Chobe River. 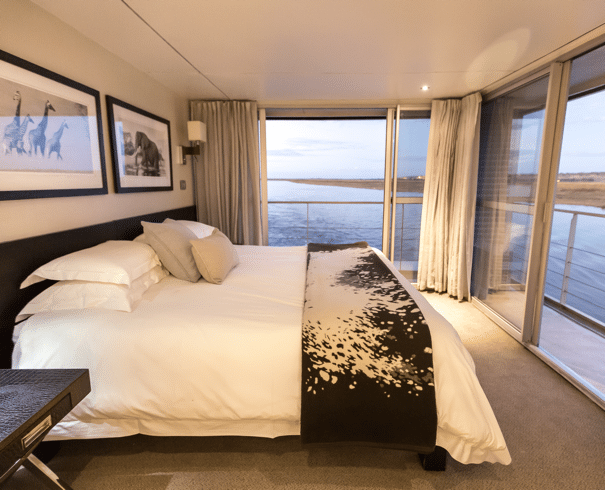 This polished, 42-meter river vessel features just 14 suites with contemporary interiors imagined by renowned South African designer Jenni Button. En suite bathrooms, comfy beds and a chic, neutral color palette are combined with ceiling fans, Wi-Fi and air conditioning. Each suite also has its own small balcony, providing occupants with a private spot from which to drink in the passing scenery and cooling river breeze. Itineraries are designed to be flexible and allow guests to choose from a variety of activities such as water-based safaris, village tours, fly fishing and bird watching. 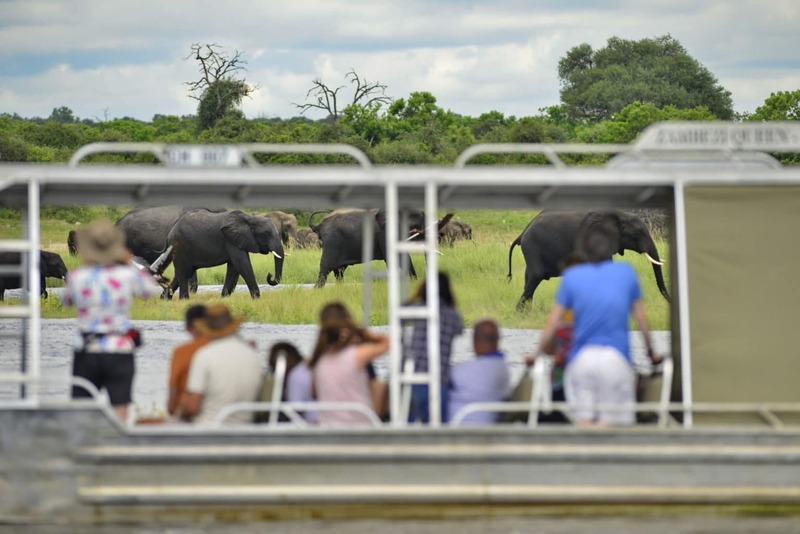 As you meander down the Chobe River between Chobe National Park and Namibia’s Caprivi Strip you will be confronted with lush landscapes and scenes of incredible wildlife, with elephants, buffalo, leopard, lion and antelope all to be spotted. Cool off with a dip in the plunge pool and indulge your taste buds in the dining room where meals are prepared using the finest local produce. 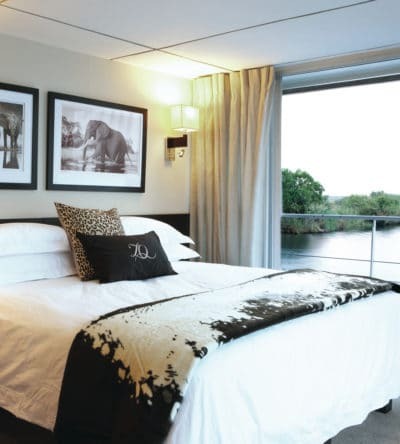 Where will the Zambezi Queen take you?